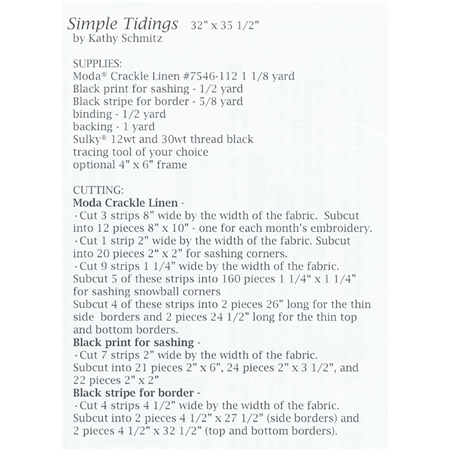 Simple Tidings by Kathy Schmitz features 12 little greetings - one for each month of the year! Each greeting fits nicely in a 4" x 6" frame to enjoy throughout the month and when all 12 months are finished assemble them into this little calendar quilt! 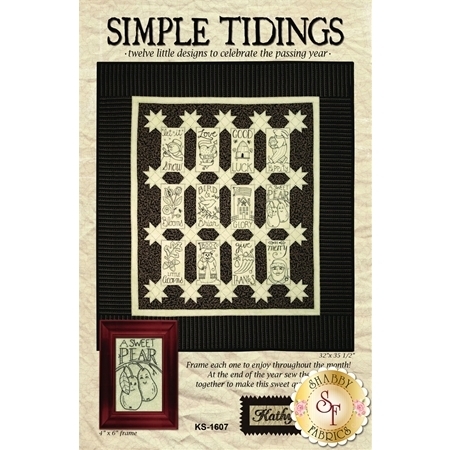 This pattern includes all diagrams, instructions, and embroidery patterns needed to complete a 32" x 35 1/2" quilt.